CAPTCHA is is good tool to stop SPAM Comments in WordPress but the extra effort for the genuine commenters might not keep them interested in submitting his/her opinion.Akismet does a good job but it detects SPAM and lists them separately for the administrator to check for any genuine comments which slipped through Akismet.The best possible solution is one where its better SPAM Comments don’t even get submitted making it easier for the Admin to moderate only a few comments. 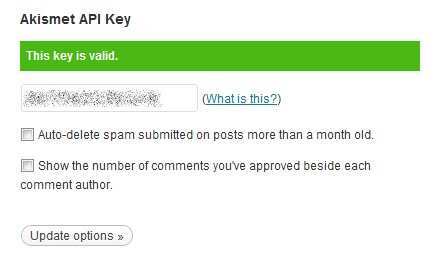 I recently faced a similar problem with huge SPAM Comments in WordPress, then I tried BWP ReCAPTCHA which deal with SPAM more effectively and integrates Akismet and ReCAPTCHA which makes it even more useful.This plugin also offers what I was looking for which is to not show ReCAPTCHA for everyone but only when comment looks spammy.This is achieved by the AKISMET – Integration into the plugin thereby only when AKISMET detects a comment as SPAM is when the ReCAPTCHA is shown else the regular comments can be submitted without requiring the ReCAPTCHA to be entered. Make sure AKISMET is activated and has the API Key Configured in the Akismet Configuration Page. Install and Activate the BWP ReCAPTCHA Plugin. After this you should see a new Entry “ BWP ReCAPT ” in the Menu with 2 sub menu’s General Options and Theme Options. 2 Keys [ Public and Private Keys ] are required for the ReCAPTCHA to work and these can be generated here. ReCAPTCHA is now part of Google, so you can login with your Google credentials. Enter these keys in the Public and Private Key Text Fields. 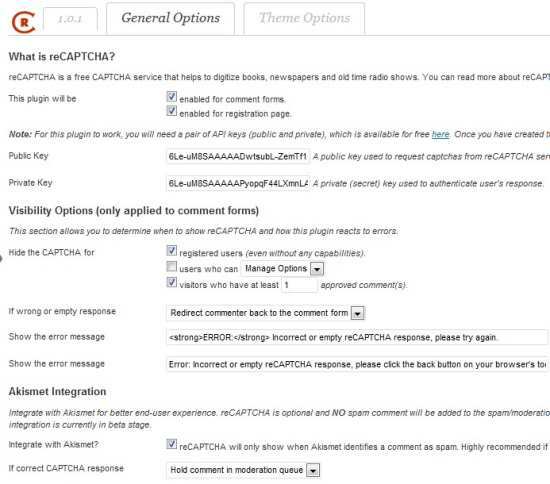 Akismet Integration – How the comments identified by Akismet and CAPTCHA Enter correctly should be moderated. The ReCAPTCHA can be made to suite your theme using the 4 Default Themes, It can also be better customized using the Custom Theme with CSS and the language of the text in the CAPTCHA can be selected.It currently supports 8 languages. This plugin is very useful eliminating the unnecessary MySQL submission with SPAM Comments and help keeping the load minimal, as the CAPTCHA code is verified on Google’s end your server load is minimal to just showing the CAPTCHA Code.It would have been more complete if the plugin had support for login page Captcha, so that it would prevent brute force attacks.Hope this feature comes in the next release.